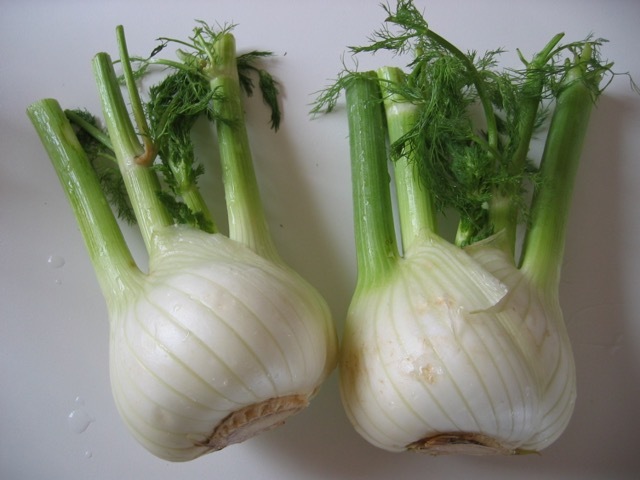 Commonly known as, Florence Fennel, Sweet Fennel or Finocchio (Italian). In the US, it’s sometimes marketed as ‘Anise’ even though the herb anise (Pimpinella anisum L.), is a different species. 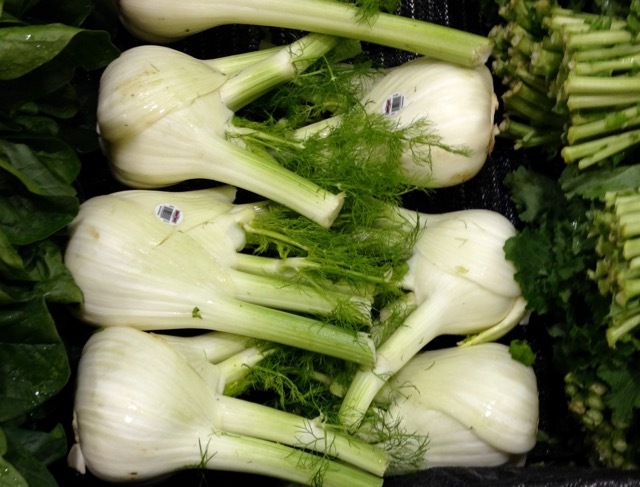 Florence Fennel is an annual herb grown for its bulbous leaf bases. It has a rounded pale green bulb with short stems and feathery green leaves and can be mistaken for a plump bunch of celery. Its flavour is mild, somewhat like anise or liquorice, but sweeter and more aromatic. Fennel is sometimes marketed as ‘anise’ in the USA even though it’s an entirely different plant from the herb anise (Pimpinella anisum) which is grown for its seeds and oil, secreted extracted from the leaves. The bulb, feathery leaves, seeds and ‘pollen’ of fennel are broadly used in many culinary traditions around the world. The so called pollen are actually tiny flowers. The bulb is a crisp vegetable that can be sautéed, stewed, braised, blanched, grilled, or eaten raw, as a vegetable or in salads. It can also be marinated and eaten raw. Fennel is filling and yet very low in calories, like celery. It provides an excellent snack for you especially if you’re watching your weight. Its a key ingredient in some Italian and German salads, often tossed with chicory and avocado. You can use fresh fennel leaves to infuse olive oil or wine vinegar to give them a great flavour and aroma. You can also use the fresh leaves in a bouquet garni to flavour fish dishes or other dishes. Finely Chop fresh leaves and add them to mayonnaise, sauces, stuffings, vinaigrettes, vegetables, seafood salads, and pork. You can also sprinkle them over soups and salads as a garnish and to add extra flavour and aroma. Use whole fresh leaves and stems as a bed for baked or grilled seafood. You can also pair Fennel with parsley, oregano, sage, thyme and chilli. In Syria and Lebanon, the young leaves are used to make a special Arab or Egyptian egg omelette (together with onions and flour). called Eggah. One raw fennel bulb contains only about 73 calories, 0.5 grams of fat, 0 milligrams of cholesterol, 2.9 grams of protein, 17 grams of carbohydrate, and 7 grams of dietary fibre (28% of daily requirements). Available through fall and winter in North America. What are the heath benefits of Fennel? Interesting post Liz! Would you believe we have a wild fennel which grows in ditches and other waste lands, especially close to the ocean. I recall as a kid chewing on the leaves, if you can call them that, sort of like dill leaves. Great substitute for lick rice, haha, spell check….licorice for sure! Funny, I’ve never tried digging one up for the bulbous base! On a mission now….